Choosing the best cheap portable air conditioner can be confusing. With so many features and technical details, you might be left wondering on the options which would work best in your home. But things are not as complicated as they might seem, especially if you know the features you want. The portability of the air conditioner is crucial. 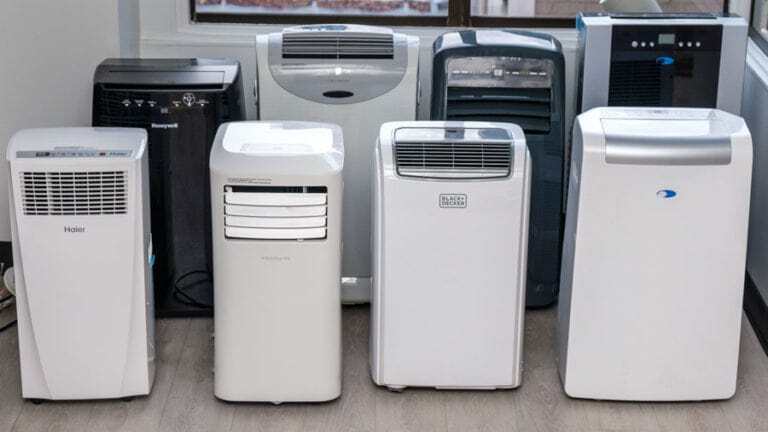 Since you don’t want or can’t invest in a fixed air conditioner, you might need to move your cheap alternative for the best results in a room or apartment. The good news is that you are still able to find solutions which come with built-in transportation wheels. 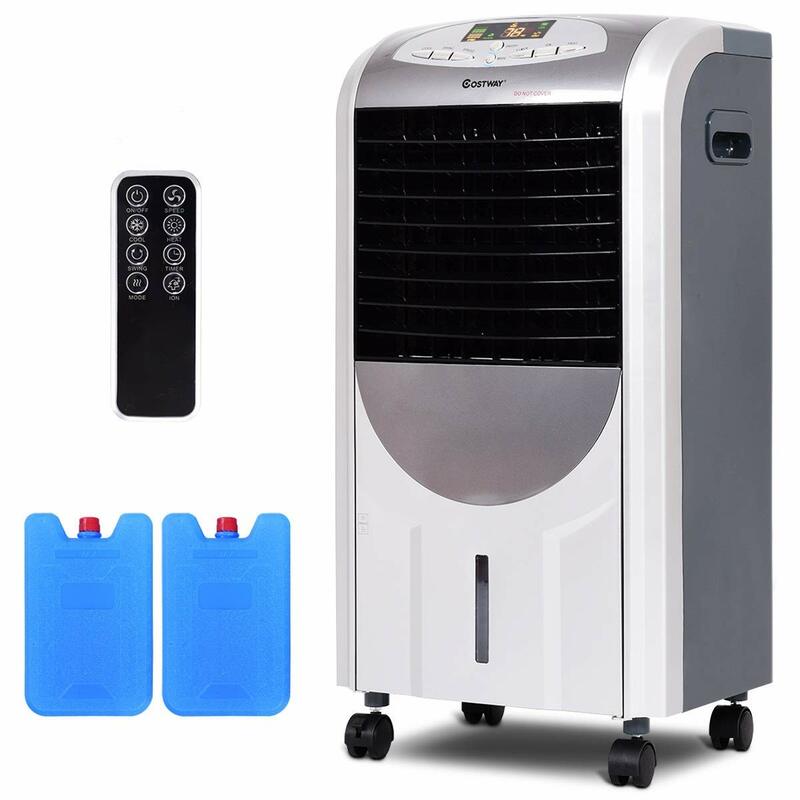 At the same time, you are also able to find the options which work the best when it comes to extensions, cables, and tubing as most powerful portable air conditioners need to be connected outside for the hot air evacuation. Measured in BTU, the cooling power of a portable air conditioner is crucial. It indicates the area it can cool. This cooling power is usually variable from design to design. A machine which comes with a power between 8.000 and 10.000 BTU is considered a reliable solution. At the same time, the machine can be among the most recommended solutions for apartments if it is closer to the 10.000 BTU mark. But in many cases, each individual manufacturer also informs potential customers of the cooling capacity of the machine in terms of space, measured in square feet. With multiple buttons and adjustable controls, having the ability to quickly set up your air conditioner is crucial. It is why you want to have the freedom to work with the solutions which are user-orientated and which can sometimes come with remote control operation. With plenty of great designs to consider, you might want to invest more in the solution which comes with the most functions of adjustability, functioning modes, and programmable operation. Why we like it: With a compact design, the air conditioner is an on-the-spot solution for cooler air. Made with a compact design, the truly mobile air conditioner is one of the most interesting designs on the market. Manufactured for the ultimate mobility, it can be the machine to use on your desk while working or it can even be the solution you take with you when you go camping. Since it is so easy to carry, it adds more mobility to what you could expect from a more powerful mobile air conditioner. At the same time, the machine represents an up to date design. It has been made in a way which allows it to work even when connected via a USB cable to your computer. So this means that you can even take it to work with you when needed. At the same time, the Annber air conditioner looks good. If you are a minimalist or if you work in a modern office building, the machine proves to be a good fit. The best part is that its low energy consumption recommends it for any situations. The air conditioner is primarily used to cool air. But using NANO filters, it also works to humidify and purify the air. It is one of the solutions which are the easiest to use when it comes to the ultimate air quality. For cooling purposes, you will need to add water. A tank of water can work with cooling of up to a few hours and it should represent a solution to use for nearly the entire duration of a day. Its final performance will largely depend on the actual conditions in the room. So it might require a longer period to cool the air and to dehumidify it if the conditions are not in its favor. But with a built-in handle, you can move it wherever you go for more on-the-spot cooling. As a compact design, the air conditioner is a top choice for the ultimate freedom of movement. Why we like it: There’s little doubt the little air conditioner is the friendliest solution for new users not familiar with such machines. With a compact design, the air conditioner is made for on-the-spot cooling. It is usually kept on desks or tables. So you can use it while working in an office or while at home. At the same time, it works really well when it comes to mobility so you can take it with you to the kitchen while cooking meals on hot summer days. It is not really made to cool entire rooms and it is why the machine is recommended for smaller areas. With 8 LED mood lights, it is easy to set your preferred running mode which varies from cooling to humidification and air purification. The air conditioner uses water to cool the area around it. At the same time, it can remove the water from the area around it with its dehumidification function. Since it is so small, it also comes with a very low running noise which can make it a good option if you have small kids and if you have to stay quiet while working from home. Running it late in the evening when the kids are asleep is also possible due to this low noise levels. Its operation is also up to date. It represents one of the top solutions when it comes to energy. You can plug it in a wall socket but you can also simply plug it into a laptop via USB for a quick source of energy. With such a simplistic operation, it is one of the options for frugal cooling and for people who want the ultimate freedom of movement for their air conditioner. 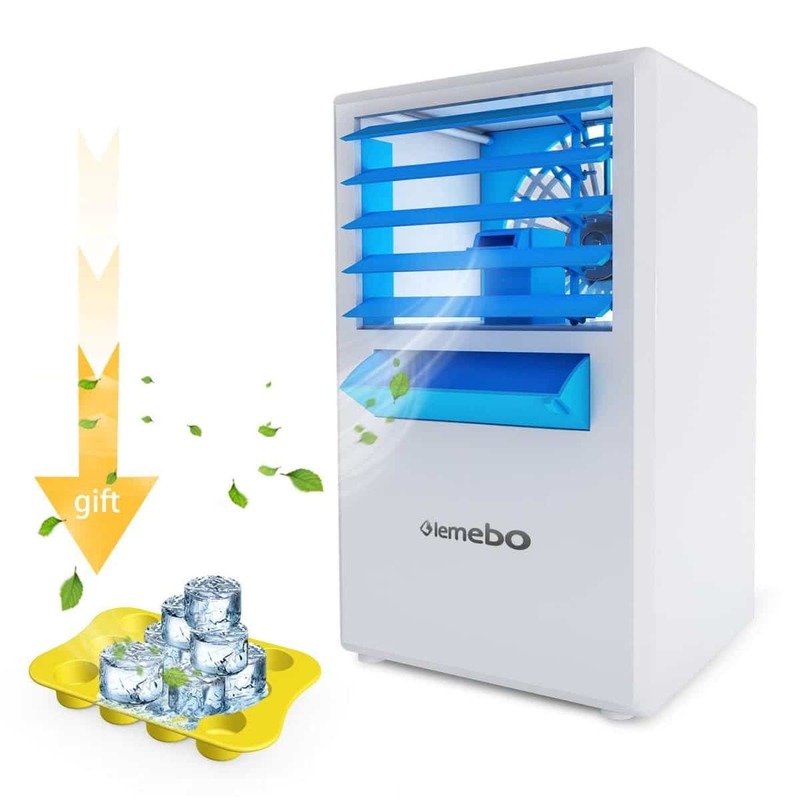 A small design which is capable to cool, purify and humidify the air around the machine. Why we like it: Made with 2 ice crystal boxes, the air conditioner can be used when you want a solution with low energy consumption and the practicality of a remote control. Made with a modern design which facilitates airflow, the air conditioner is among the solutions which use water and ice for cooling purposes. Ice crystal boxes have been installed so that the cooling performance improves at times. But even so, it is more of an air conditioner which is to be used for cooling smaller areas in a room. With an included remote control, you have full access to all of its functionalities. For example, using the remote control, you can set a timer for your cooling needs. You can also adjust the speed of the fans from the remote control. The machine is made to cool the air. 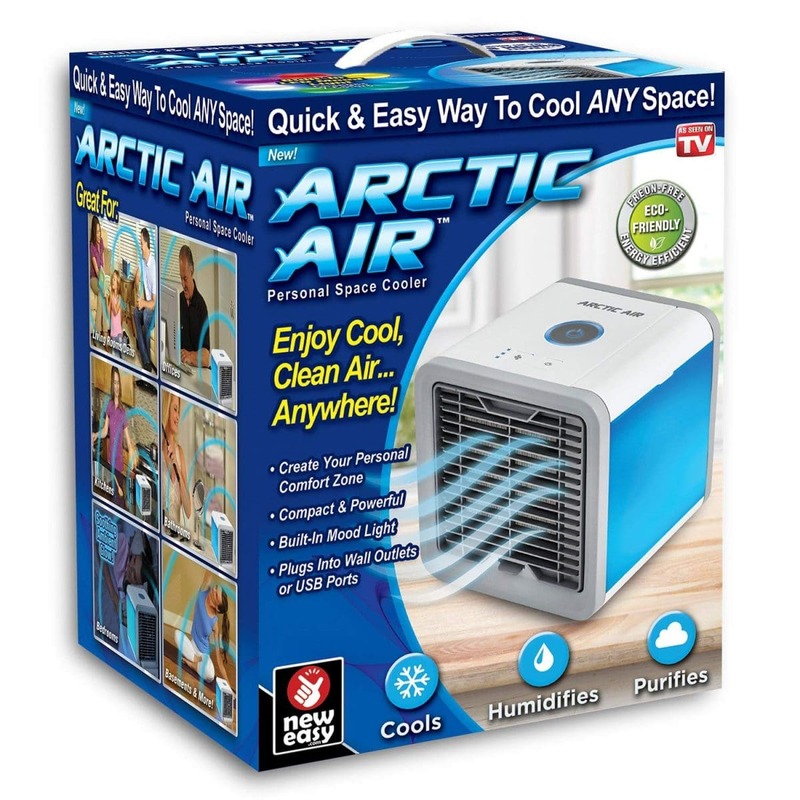 But it also comes with a humidification function which adds humidity to the air. Switching between these two modes is easy and it can be done either from the machine directly or using the included remote control. With a 7.5 hour timer and 3 fan mods, it is quite versatile for an affordable machine. At the same time, it remains mobile with its 4 built-in caster wheels. The air conditioner is capable to cool the air in its vicinity and it is made to be affordable both for purchase and for energy consumption. Why we like it: As one of the solutions based on ice cooling techniques, the air conditioner can be an eco-friendly choice to consider for home use. Made with a self-standing design, the air conditioner is up to date when it comes to its shape and practicality. It comes with built-in wheels and it can be easily transported around the house to cool on the spot. The cooling process is based on water and ice with dedicated compartments. While this is not the best cooling solution in terms of performance, it can certainly work in small areas and it can also be one of the solutions which do not consume too much energy. The operation of the air conditioner is very simple. Made with washable air filters, it is one of the interesting solutions when it comes to long-term practicality as it ensures fresh air even in the future. Made with honeycomb filters, the air conditioners are used to cool air. But at the same time, it is also one of the solutions used to heat the air if needed. 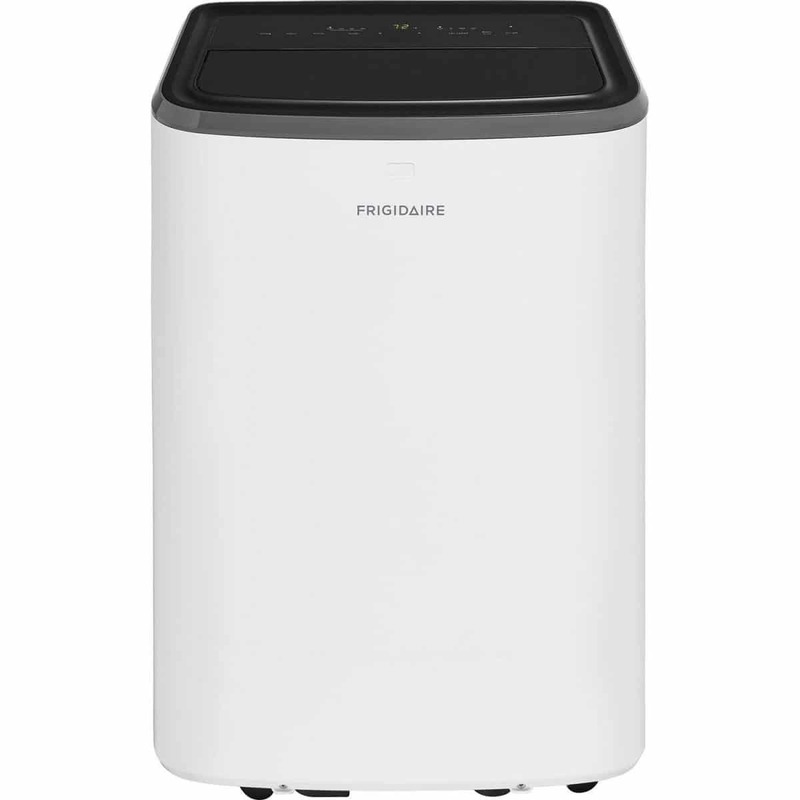 In some cases, you can also activate its dehumidification function if you live in an area with high humidity. The air flow in a small room can also be improved using its included fan function. With an eco-friendly approach, the air conditioner is recommended when you want to control the monthly energy bills. Why we like it: Made to be compact, the air conditioner is among the solutions which can be used on tables for instant cool and fresh air. The first thing you notice about the air conditioner is the versatility of the fan which can blow the air in multiple directions. The cool air is enhanced by the machine using water and ice. Simply add the water to the machine and you will be able to cool the air in front of it. 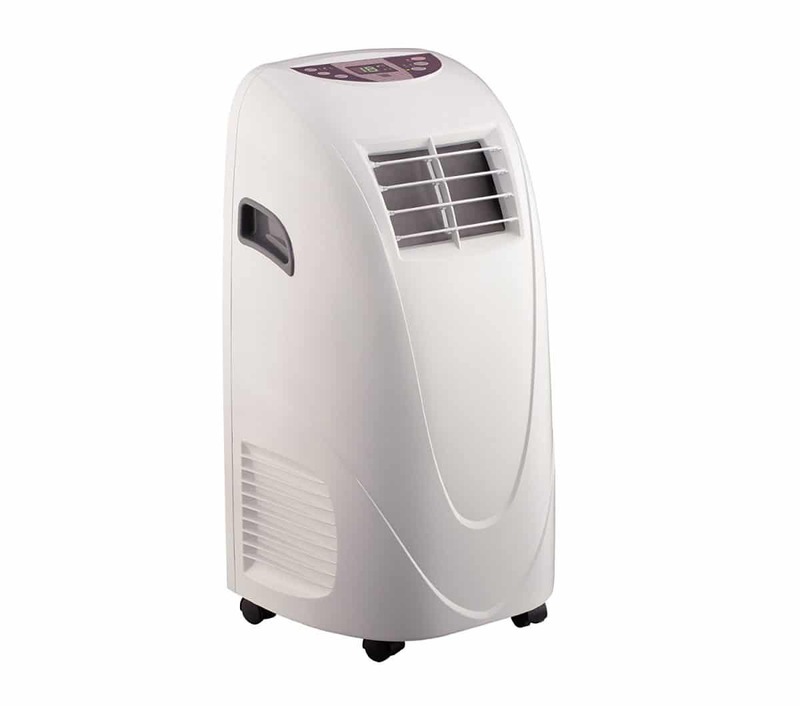 The air conditioner is also compact enough for traveling and for mobility around the home. It is not too strong so this means you can place it in the children’s room as well. But you can also take it with you to work on hot summer days. There are only a few switches to operate and indicators to consider. The refrigerating switch allows you to turn on the machine. The water level indicator shows you when it is time to add more water. The air volume switch works with the speed of the fan. And finally, the power switch allows you to turn the machine off when not in use. With a noise level of only 35 decibels, the machine is one of the quietest in its class. It is not the most powerful but it certainly has its place in homes where noise can be an issue, such as in the homes with small children. With a quiet operation, the air conditioner is a solution which can cool the air around it while being placed on a desk or on other items of furniture. Why we like it: With a lightweight design and 8.000 BTU cooling capacity, the air conditioner works with most rooms under 250sq feet. The simple design of the air conditioner recommends it among the user-orientated solutions. It only comes with a few actionable buttons which make it easy to use even if you haven’t used an air conditioner before. It comes with 8.000 BTU cooling capacity which is at the same level as the leading options in this class. In the real world, this cooling capacity represents a design which works with rooms of up to 250sq feet. Larger rooms or smaller apartments can be the main areas where the air conditioner feels the best. Made on built-in transportation wheels, the air conditioner is among the solutions which are easy to move. So if you need to cool a certain area of the room, you can begin by placing the machine is such a way that it directs cool air to that particular area. The machine comes with the straightforward operation. It has an included timer which allows you to set your preferred cooling time. Another functioning mode includes temperature selection. You can set the desired room temperature and the machine will work until it cools the room to your preference. The fan of the air conditioner can be adjusted as well. It comes with high and low speeds and it can be a good solution on the hot days when you want to cool the room faster. 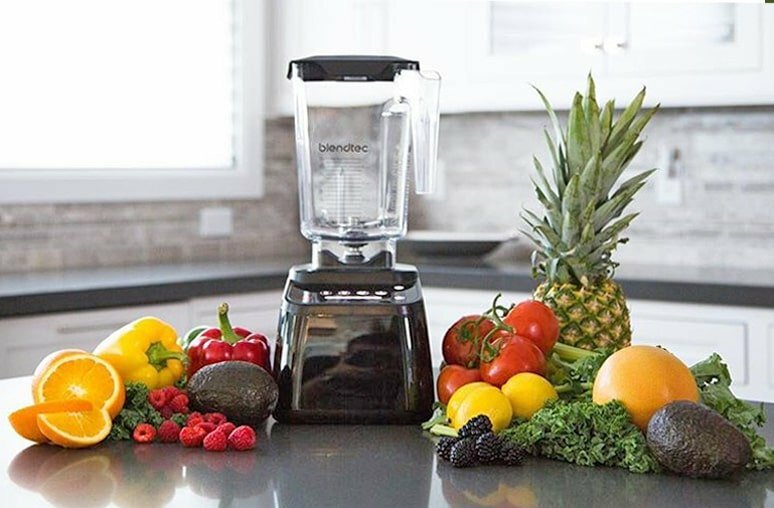 These features work great in the recommended surface area, but in some cases, the machine can also cool slightly larger areas. This, of course, depends on other variables such as opened doors or windows. 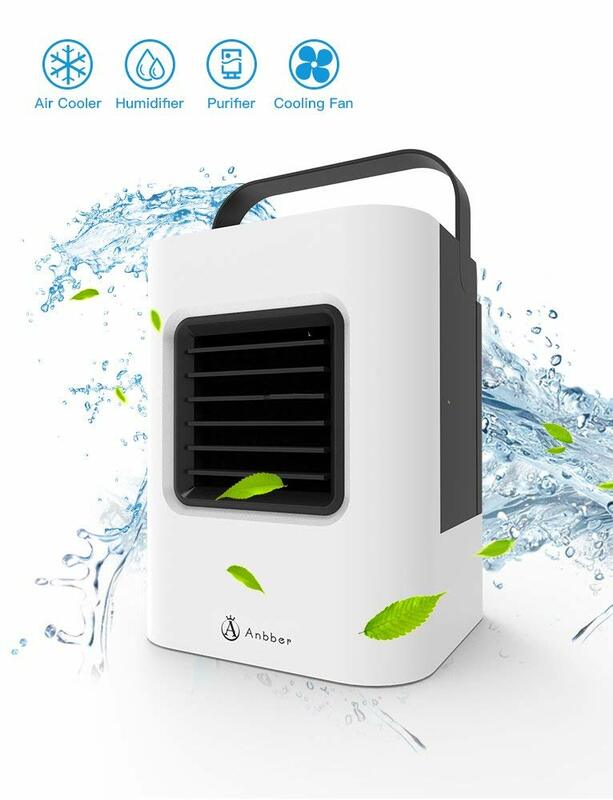 With a simple design and an impressive cooling capacity, the mobile air conditioner is certainly a solution to consider if you only want to cool a small or medium-sized room. Its operation recommends it for users of all ages. Why we like it: With multiple functions which include cooling, dehumidification, and anti-bacterial action, the air conditioner is a top choice for the home user. The problem with air conditioners which also come with other features is that they can intimidate many users. But Frigidaire has done a good job at keeping the operation simple with the machine. With a few buttons on the top of the air conditioner, the mobile design is easy to use. At the center, users find the digital temperature display. At the sides of the screen, you find the functions which can be easily adjusted. These functions include the speed of the fan, the functioning mode (auto, cool, dry and fan) and the fan speed settings. As most mobile air conditioners, you still need to connect it through the window for it to eliminate warm air and this somewhat limits the mobility of the machine. But you can still move it around the room if you want it to cool efficiently a surface of up to 350 square feet. The practicality of the air conditioner is not bad. You can expect the best practicality when it comes to cleaning and maintenance. For example, you can easily remove the filters when needed and you can also easily remove the water tank which it dehumidifies from the air if needed. With an antibacterial action, the machine can be recommended in certain homes where this is crucial. For example, if you have kids, you can use the machine to ensure a comfortable temperature and clean air for your entire family. Interestingly, the affordable air conditioner also comes with a remote control. You have the ability to adjust the mains settings of the machine yourself from a distance for ultimate comfort. Furthermore, since it comes with multiple functioning modes, all of these can be adjusted from the remote control. Made with multiple functioning modes, the machine is a future-proof solution when it comes to temperature control and air quality control. Why we like it: Using recycled water for better efficiency, the air conditioner comes with a powerful 10.000 BTU power output. The modern air conditioner is made to be mobile. Even so, you need to take into account that it needs outside venting. The good news is that it comes with all the accessories needed for installation. At the same time, the machine is among the interesting options when it comes to better cooling capacity. It has a 10.000 BTU power which makes it an efficient solution when it comes to cooling spaces and rooms of up to 400 square feet. While it is slightly more powerful than the average alternative on the market, the air conditioner is still easy to operate. Manu users appreciate the wind being blown upwards, which cools the room faster. With easy operation, the air conditioner is made with digital controls. You have all your controls in easy reach on the top of the unit so that you can adjust it quickly and efficiently. At the same time, the machine is easy to use when it comes to the basic adjustments. With an included timer, you can set the air conditioners on a cooling mode which works for you and the good news is that you can even adjust the speed of the fan. On the other hand, most users can also appreciate its ease of maintenance. It is why the air conditioner can be adjusted with its fan speed. With the 4-way air direction, it represents a solution for most small and medium-sized rooms. But at the same time, it is among the solutions which work best in smaller spaces. So when you want the best cooling efficiency, you would use it in enclosed spaces of up to 300 square feet. With simple operation, the air conditioner is among the solutions which are the easiest to use. With condensing recycled water, it requires no special maintenance. Best performance at 300 sq ft.
Why we like it: With a modern design and a 2018 upgrade, the air conditioner is ready to be the future-proof choices for many home users. The air conditioner is truly capable in small and medium rooms. But even if it comes with 10.00 BTU, the manufacturer recommends it for rooms which are smaller than 300 sq feet. At the same time, you might consider it for the improvement of overall air quality in your home. It is why you can simply choose the solution for dehumidification as well. And it is not just an extra feature which lacks power as the machine is capable to dehumidify up to 50 water pints each day. 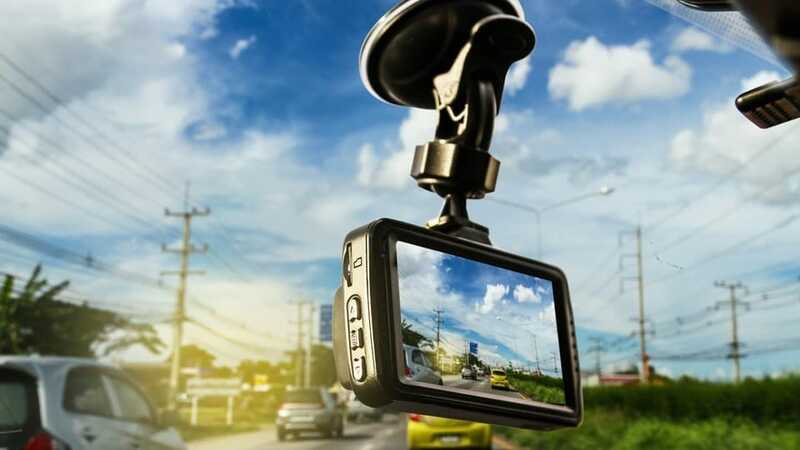 It also comes with an included remote control and this makes it one of the solutions which are recommended for extra comfort and improved practicality. In the real world, you can fully control it from the remote control once installed. The air conditioner comes with a timer function which makes it one of the most interesting solutions when it comes to scheduled cooling. The added sleep mode allows the machine to remain on standby during certain hours of the day, which can be the hours you are away from home. But programming the machine is only one of the features which make it an interesting solution for many users. It also comes with a heating mode which can be useful during cool mornings and evenings. 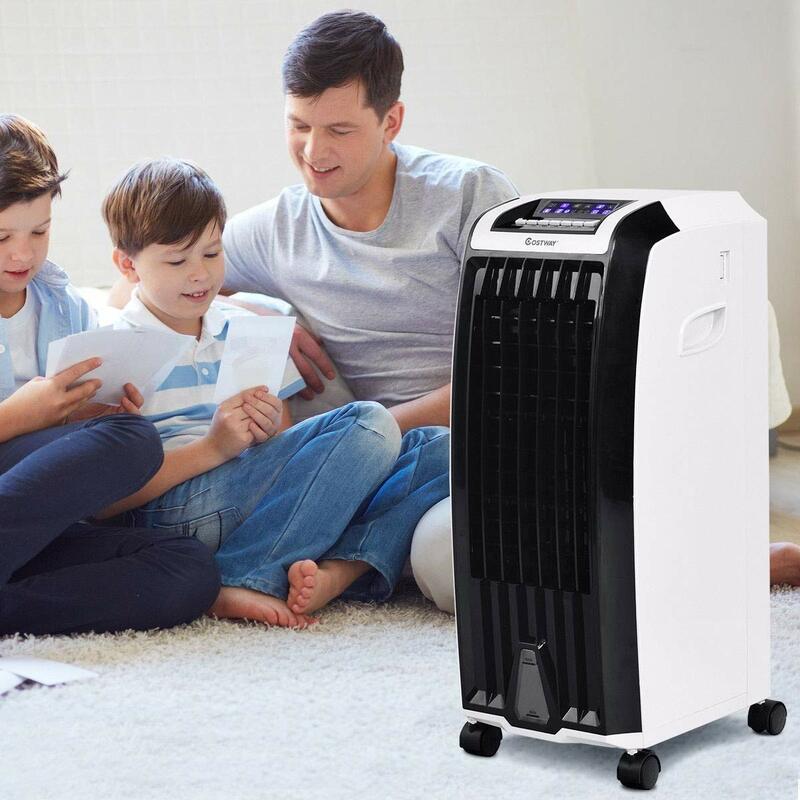 With air cooling, air heating, and dehumidification functions, the machine is recommended for an all-in-one temperature comfort and air quality solution to use at home. Why we like it: With a portable appeal, the air conditioner is one of the solutions designed to eliminate hot air pockets. Made with a design which is in line with what can be expected at the moment on the market, the machine is as simples as they get when it comes to cooling small rooms. It might not be the most powerful solutions in its class and it is why the air conditioner is actually made for those seeking improved results with air cooling in smaller homes. If you have a room of up to 150 square feet to cool, it can work well. Some people use it to bring the temperature down in their bedrooms and it is why it can be one of the most interesting solutions when it comes to confined spaces. However, at 5.5500 BTU, the machine will struggle to cool large open spaces. One of the most convenient features of the air conditioner comes with the adjustable air cooling vents. These can be used to eliminate hot air pockets. So if cool air fails to reach certain areas of a room, the design of the air conditioner allows you to eliminate this problem. Another useful feature comes with the dehumidification function. While it is not the most powerful design for this purpose, the air conditioner can remove up to 1.8 pints of water in an hour. It makes the machine a design which can be used in areas with high humidity where even a lower room temperature might not come with the comfort which is needed. Made by a reliable manufacturer, the air conditioner can be a solution if you only need to cool a small room. When you want to purchase a cheap portable air conditioner, there are a few basic characteristics to consider. Of course, the actual cooling power is the most important. But even other characteristics such as the ease of use can be important when you plan to operate the machine every day for cool and fresh air in your home. With cooling power between 200 and 450 square feet, the air conditioners in this class of affordability are typically recommended for small rooms and small apartments. They each come with their own cooling power and it should be the first characteristic to keep in mind when making a purchase. But not all the air conditioners in this class come with such a measurable power output. For example, the air conditioners working with water and ice are typically smaller and they are made for on-the-spot cooling. The solutions which are typically placed on tables represent a temporary option or a machine which is not made to cool entire rooms, but rather only small areas in the rooms. The energy consumption of an air conditioner is an important indication of what you can expect on your electricity bills. Simply put, the more powerful the air conditioner, the more energy it requires. So if you plan to run the machine for hF$ours each day, you need to expect increased monthly electricity bills. But there are a few tips you can apply if you want to reduce these costs yourself. It is why you have the ability to choose the solutions which work the best when it comes to timed performance. You can even program some air conditioners to only run during a given time through the day. Keeping windows and doors shut is another good way to ensure the best energy efficiency. At the same time, you also have the ability to choose a machine which can run with the low amount of energy, such as the USB-connected air conditioners. While they only cool small areas, they can be recommended if you are really concerned about energy bills. The days of complicated installation are gone, at least with portable air conditioners. 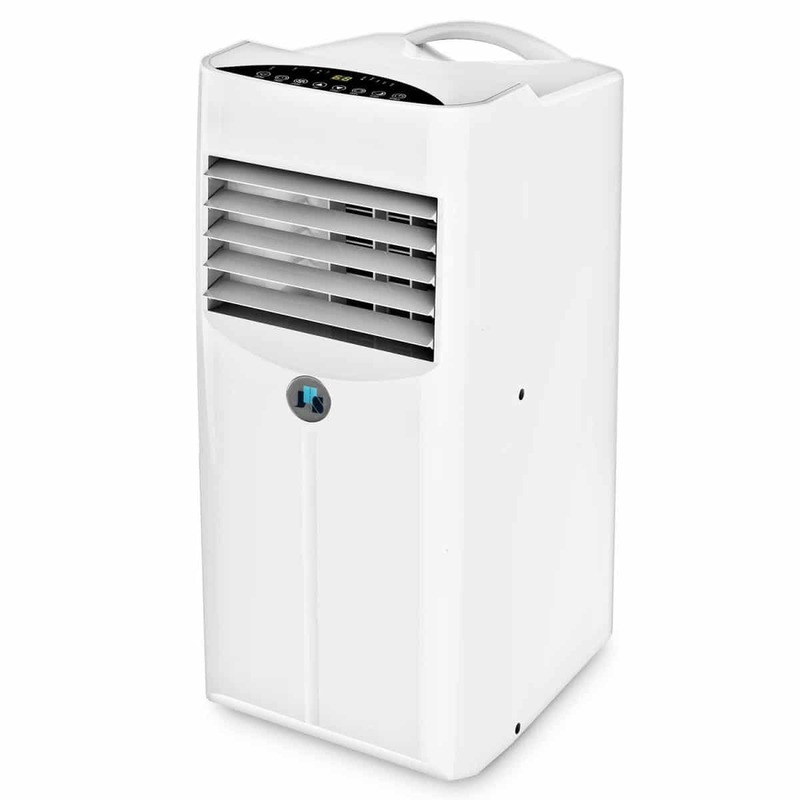 Unlike fixed alternatives, a portable air conditioner can be installed by the actual users. It is why you will see plenty of new designs which come with a tool-free installing. This simple solution is recommended when it comes to immediate cooling after the delivery of the machine. There are a few tips you can apply when it comes to installing the air conditioner yourself. For example, if your machine is being delivered to your home, you need to know that you should keep it in a vertical position for a few hours before running it for the first time for safety purposes. At the same time, you should read the full user’s manual before installing the machine yourself. Many air conditioners come with water tanks which serve for dehumidification purposes. All of them should come with off functions which shut down operation when the tanks are full. However, you want to ensure these tanks are actually placed correctly when installing the air conditioner to avoid water damage to your floors. Running an air conditioner should not be complicated. But with more health concerns than in the past, there are a few areas you need to consider. Filters are crucial for proper air quality. It is why the filters should be changed frequently. But at the same time, they should also come with practical designs. For example, some filters can even be washed and this ensures they are free from bacteria development in the long-term. Operating an air conditioner should also be easy. There are a few buttons which are typical to these machines and they include the buttons which switch running modes, fan speeds or even the temperature display and its Celsius and Fahrenheit degrees. The best air conditioners come with included remote controls. While not all remote controls come with the full set of adjustability options, most of them should allow you to run and operate the air conditioner from a distance for ultimate comfort. Most remote controls are powered by batteries and in many cases, you will need to purchase them separately. Since your home needs a portable air conditioner, the mobility of the machine is crucial. Built-in wheels are a must for the best air conditioners, even those which are made to be affordable. Since you may want to move it from room to room, you want to avoid lifting the machine when this is needed. It is why most air conditioners come with these 4 wheels for transport. But if you have hardwood floors, you should also pay attention to possible damages when moving the air conditioner. Compact air conditioners are the best for mobility. Typically running on water and ice, these solutions can even be taken away from home. For example, if you go camping in a tent, such a small air conditioner machine can work to cool the entire area of the tent to add comfort away from home. At the same time, you should not worry about the power supply of these solutions as they can be connected to a laptop via USB. Even a cheap air conditioner should be durable. All machines are covered by warranty and you should check the policy on your preferred product before making a purchase. But at the same time, you also have the ability to choose a solution which works great when it comes to at least a few years’ worths of use. With so many designs on the market, it is the solutions which require the least user intervention which may last the most. It is why the best-rate air conditioners are actually the simplest to use and which come with minimum functions as well. 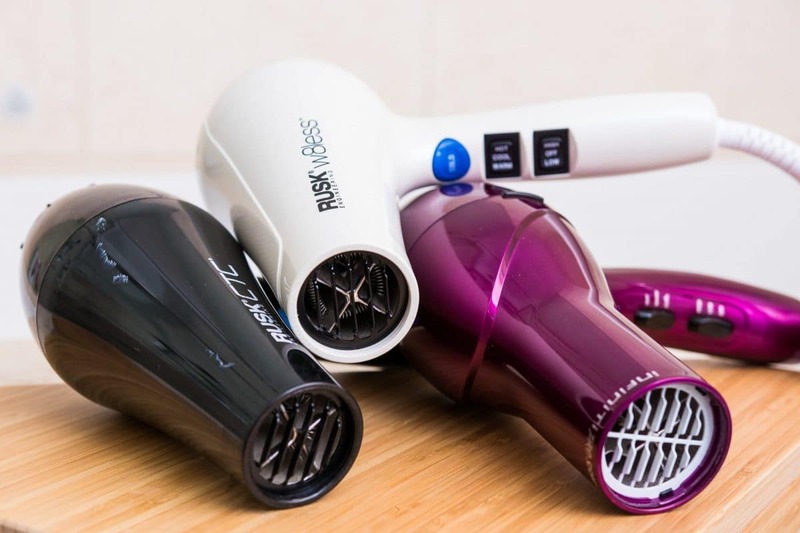 But since many of them come with additional functions such as dehumidification, it is important to consider them as an all-in-one machine which can actually replace other machines. 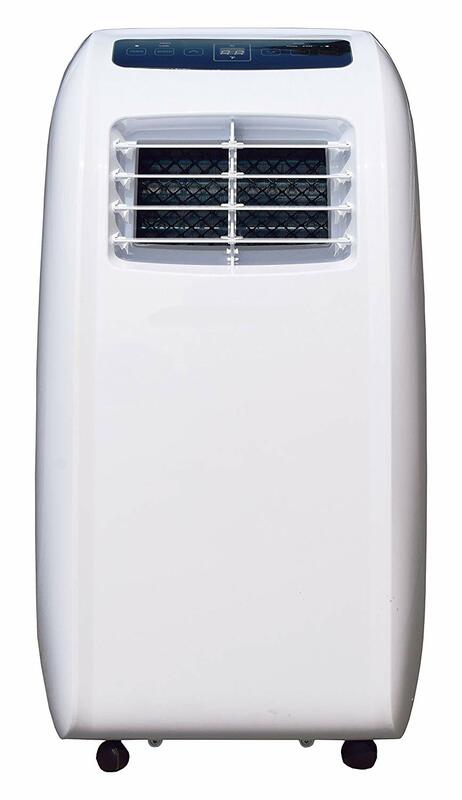 Many portable air conditioners also come with heating functions. With so many functions and running which can cover both summer and winter seasons, it is important to look at vulnerable areas such as filters. It is why you want to ensure you check your filters from time to time. The adjustability of an air conditioner is typically minimalistic. With running modes which are based on temperature settings, you are really left with a few adjustments in terms of fan speed. At the same time, you also want to ensure you are actually up to date when it comes to the best overall performance, especially when you work with functions such as those made to remove humidity from the air. In this case, the adjustability can refer to the off-time or sleep time of the machine, which can often work for days if you want to reduce the humidity level in a room or a small apartment. Running noise is among the biggest complaints of the modern user. It is why you should always value the designs which are made with lower operating noise as the technology behind it implies considerable efforts. It is why the best machines are also the ones which operate at low running noise levels. If you have children, keeping them comfortable also implies they can sleep well even if the machine is running. 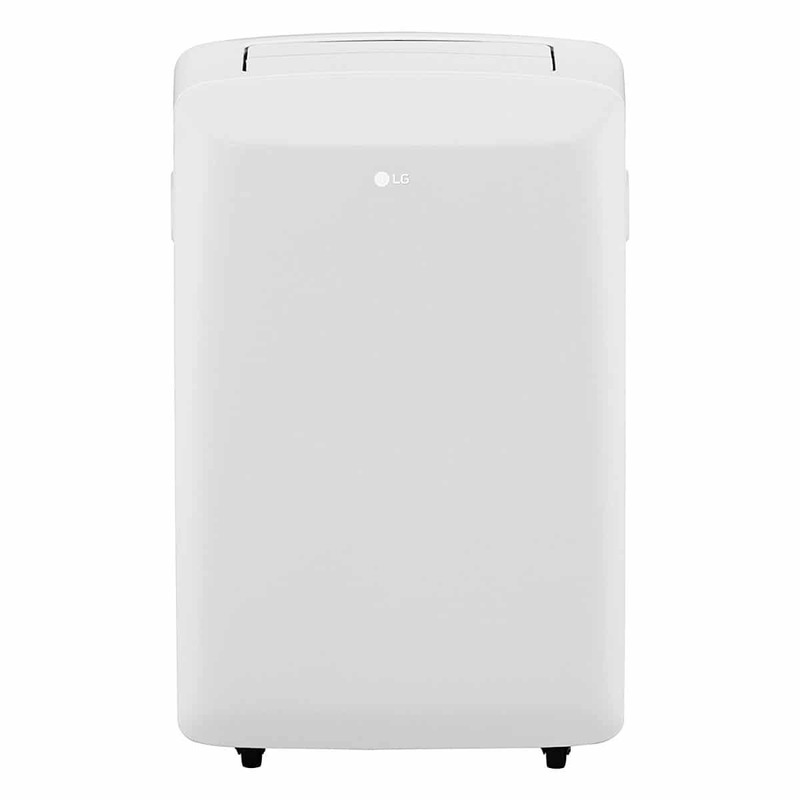 There are thousands of portable air conditioners on the market. But not all of them are actually made to be affordable. However, when you decide to purchase your own air conditioner, the price of the machine should not be the only concern. The capacity of the machine, its adjustability, and its extra functions can make a great purchase. It is why most people should purchase machines which are future-proof, with plenty of functions, which don’t need updating in the near future.